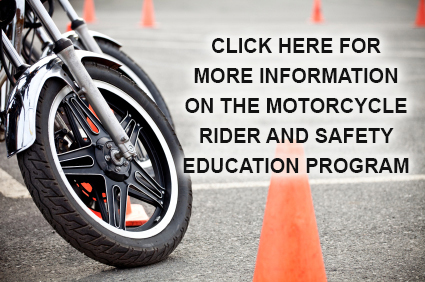 The Motorcycle Rider and Safety Education program is conducted with Michigan Safety Education funds from a grant administered by the Michigan Secretary of State. Rain and cold weather gear, as needed. Due to State of Michigan training requirements for the Motorcycle Endorsement, you must be on time to class and attend all sessions. Late arrivals will not be admitted into class. Students under the age of 18 are allowed to take the Basic Rider Web Enhanced or the Returning Rider(Basic Rider 2) courses starting at age 15 if they have a valid driver's license number. A parent or guardian must accompany the student to the first class meeting; parent signatures are required on some documents. If you have questions or need more information, email motorcycle@macomb.edu.